Happy 100th Birthday, Mary Blair! 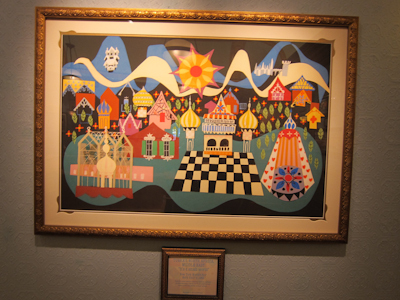 Mary Blair did not live to see her 100th birthday, but her unbelievable art certainly has. 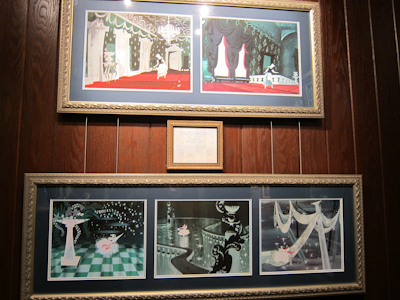 Mary Blair was, quite simply, one of the best Disney artists of all times, IMO. 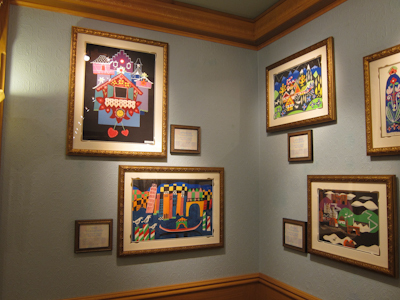 I had intended this post to be about the Disney Gallery, which used to be above Pirates of the Caribbean but is now attached to the former bank building, but then got caught up with the amazing Mary Blair exhibit. 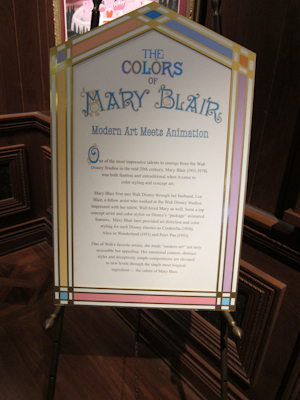 The exhibitions at the Disney Gallery change, so I was thrilled to see Mary Blair included. If you know know who she is, she’s the one who designed Small World. Which is pretty darned amazing. Most notably, Alice in Wonderland. 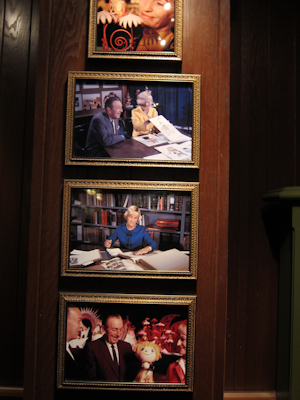 And here’s a picture of Blair with Walt Disney himself. 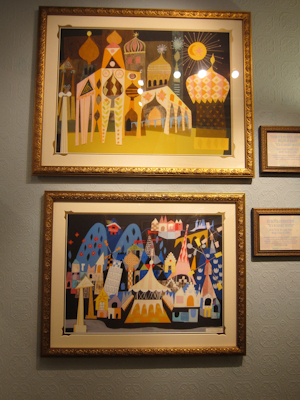 Seriously folks, Mary Blair’s brilliant art and inspiration can be found in the park and in the spirit of Disneyland. Happy birthday, Mary! Thank you for all you’ve given us! Awesome! 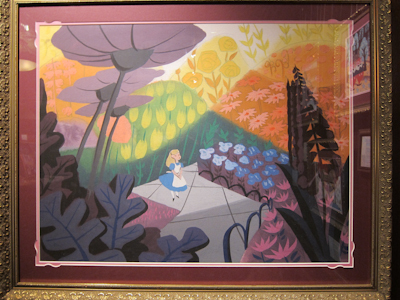 I love Mary Blair. Is the merchandise from the exhibit available online? That’s a good question Casey. If you wanted to do a little research on that I’d might appreciate it ;). 😦 well thanks for checking. DH and I are HUGE Mary Blair fans. Thanks for the great post. 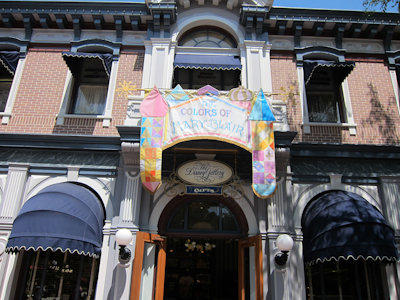 We just booked a short weekend trip to DL, so we will definitely stop by to drool over this exhibit. Oh wow I thought all the cool small world stuff was new! 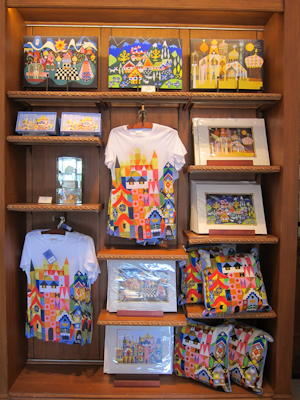 I love love love the new/old Mary Blair small world stuff they are putting out right now! I just saw the line last night in DT World of Disney Store. They have the most adorable coffee mugs with different scenes on them according to geographical region in sm and then on the inside of the mug is says welcome in the language of the region. I SO want the Guten Tag mug! But really I don’t need another mug. And I especially don’t need a $10.95 mug. But honestly I might not be able to resist the urge…. Actually the mugs say “hello” in different languages not “welcome.” : ) Oh now I’ve been researching these and am obsessed. I’m going to “need” at the very least now some mugs, the plates, the coasters, maybe a print. Thanks Shelby…. I am now about $83 poorer but a Mary Blair print, mug and plate set richer : ) Yay!